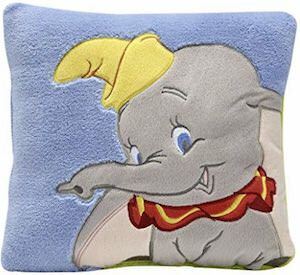 If you want a fun pillow and you like Disney then you just have to check out this Dumbo Pillow. This decorative pillow is 10 x 10 inches and shows a fun images of Dumbo the elephant on the front and is just one solid color on the back. The pillow is nice and soft on the front and that makes it perfect for your child to take a nap on. 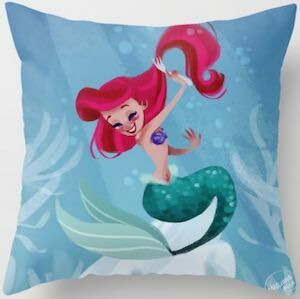 A Disney pillow like this is great for the kids but I am sure that adults that really like Disney will really enjoy to have one too. So add a pillow with a big eared elephant to your home. Now there is this fun Sequin Michael The Office Pillow. This looks like a black pillow with sequin on top but then when you swipe on the sequins you can see Michael Scott at his desk with his favorite world’s best boss mug. It is just really fun to own a pillow like this because it can look like a normal boring pillow and then just swipe the black pieces and there you have The Office. The pillow is available as just a pillow case or with filling and if you don’t like black sequins then you are in luck as it also comes in red and rose gold. If you like Mr. Robot and want a nice pillow then you want this Darlene Alderson pillow. The Mr. Robot pillow is available in many sizes and in styles for indoor and outdoor and even as just a pillow case. 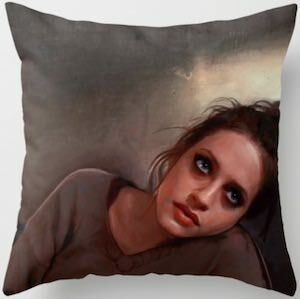 On the pillow you can see and image of Darlene in a pose that could be like lounging down on the couch and that makes this pillow would be perfect for on your furniture. Now you can have a pretty girl in your home and tell all your friends what a badass she really is. 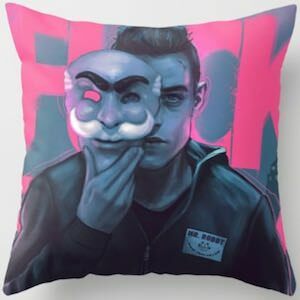 If you like a pillow to dream about computers and stuff then you just need this fsociety and Elliot pillow. The pillow shows a cool piece of art that has a background with pink letters and in front of that you can see Elliot Alderson wearing a jacket that says “Mr. Robot” on it and he is covering a part of his face with the mask used by fsociety. 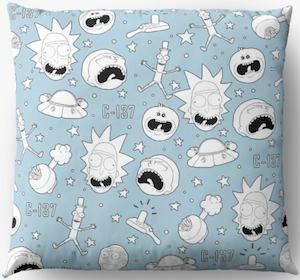 It is a cool pillow that would look great on your couch, chair, and bed and you can get this Mr. Robot throw pillow in 4 sizes all square and the sizes are 16, 18, 20, 24 inch. The design of the front of the pillow is also on the back so that you can turn it around if you like. If you are a big Supernatural fan that loves to sleep then you should be checking out this Sam and Dean mugshot pillowcase set. 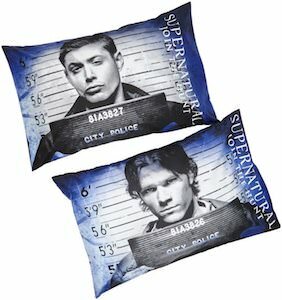 The pillowcase set shows Sam and Dean Winchester and it is a mugshot picture of each of them. Just put your pillow inside the pillowcases and you are ready to sleep and dream with Sam and Dean. Supernatural pillows will be cool and as these are just two pillowcases you can use your favorite pillow to be comfortable and super cool. Just imagine how cool the Supernatural pillows will look on your bed as Dean and Sam are just staring at you. 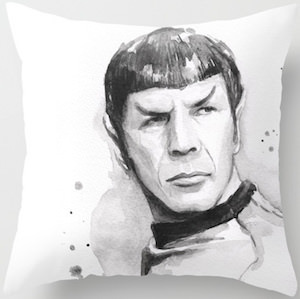 Now there is a Spock portrait pillow for all the true Star Trek fans that would like the classic Spock in their home. The Star Trek throw pillow is available in a version for insides or an outdoor version and it comes in 4 sizes that start at 16 x 16 and go all the way up to 24 x 24 inches. The pillow is light in color and on it a nice black and white portrait of the amazing Spock while he looks away to a new adventure. So now you can choose to have a Star Trek pillow that looks amazing on a couch, chair, bed, or where ever you want a cool pillow. 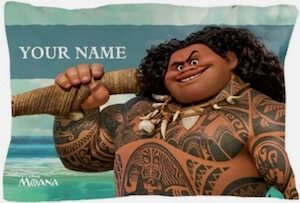 If you like sleeping and the Moana movie then you should check out this Moana Maui personalized pillow case. 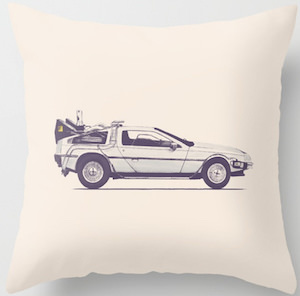 The pillow case will fit your favorite pillow as it is 20 x 30 inches. On the pillow case you can see a big picture of Maui complete with all his tattoos and hook and above in the corner the pillow case has room for your name making it a really cool personalized pillow. If you know anyone that would love to sleep on a Maui pillow then surprising them with this cool Moana pillow case is really fun.